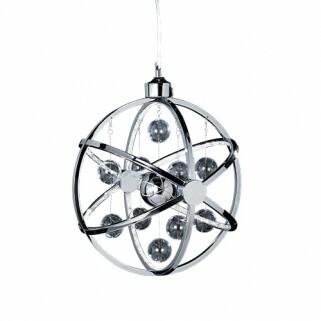 A range of LED Chrome fittings with chrome and clear glass ball detail available in multiple sizes. Matching table lamp is also available. - Chrome plate with clear & chrome glass.